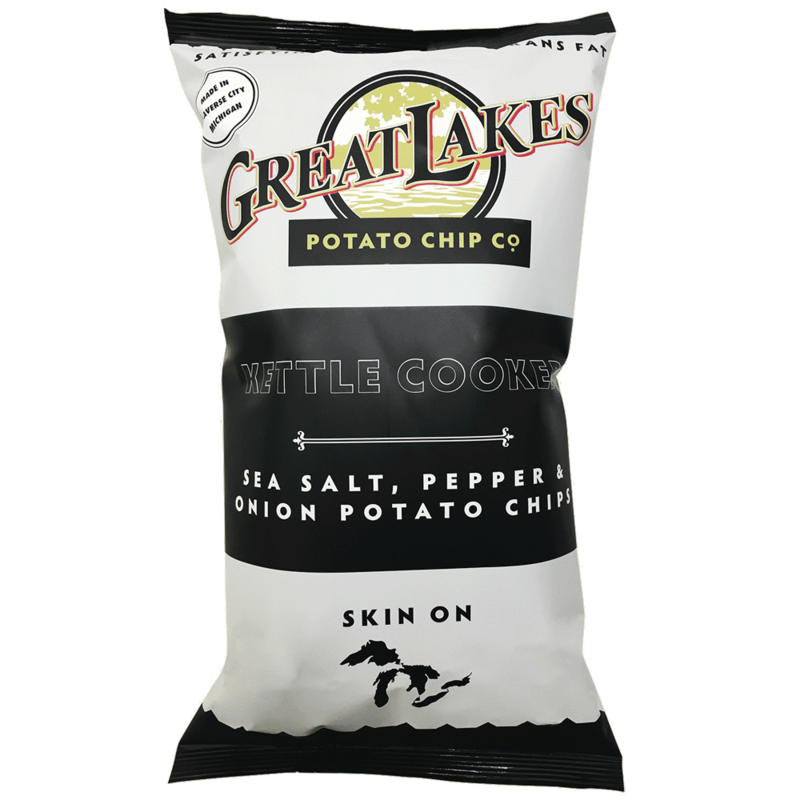 As a small, family run business in Northern Michigan, the Great Lakes Potato Chip Company started with one clear goal in mind, to make a chip worthy of the hardy, fresh spirit of the Great Lakes region and its people. 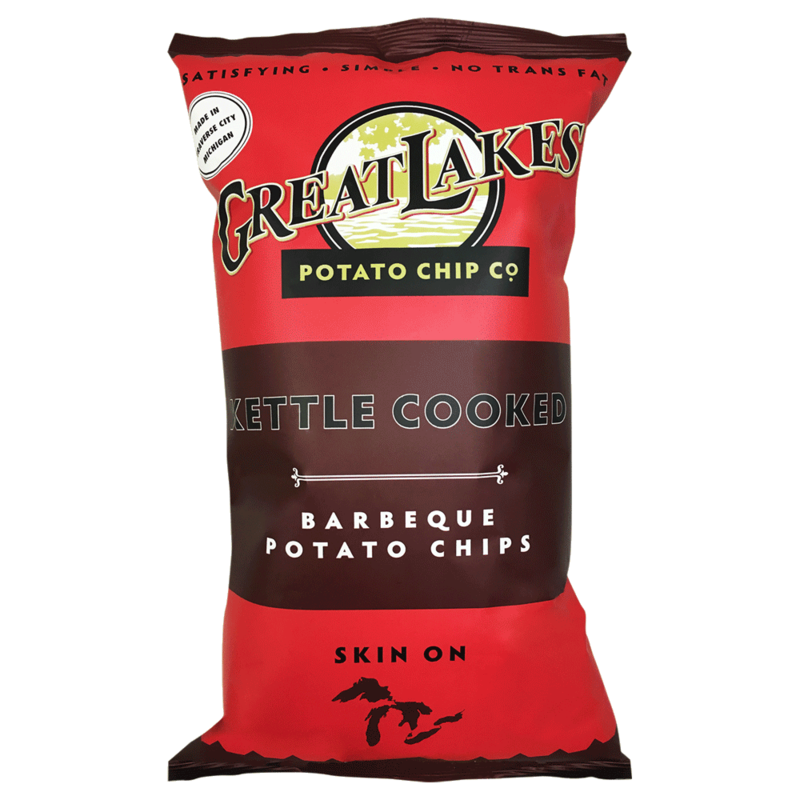 The achieve this with small batches of fresh, almost all Michigan potatoes and spices, and a good, old-fashioned Midwestern work ethic. 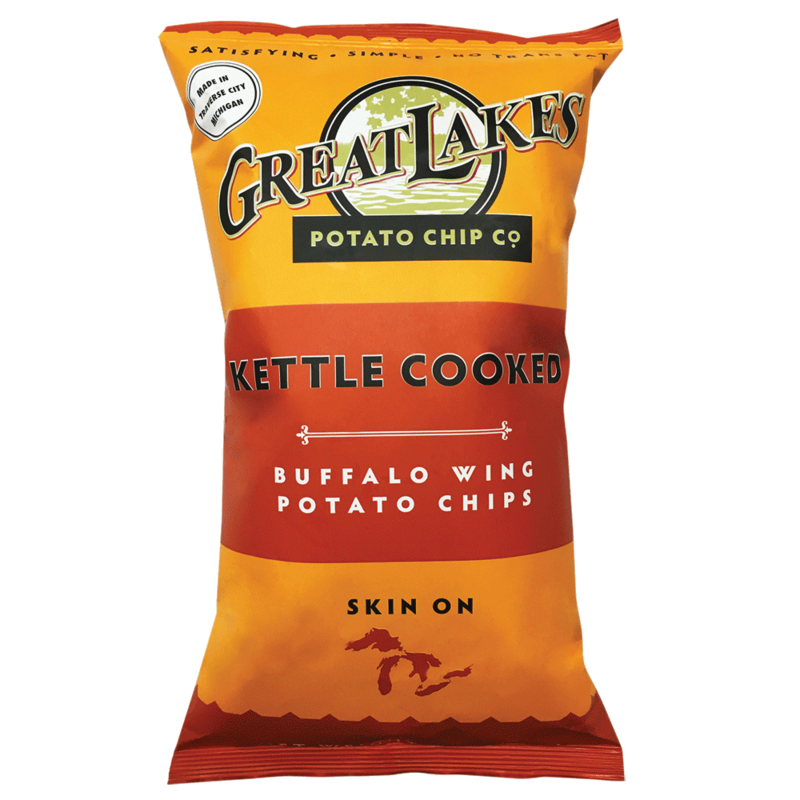 What results is one sensational kettle chip that stands up to the most demanding potato snack craving you can dish out. There are no naked chips! It’s all about flavor. 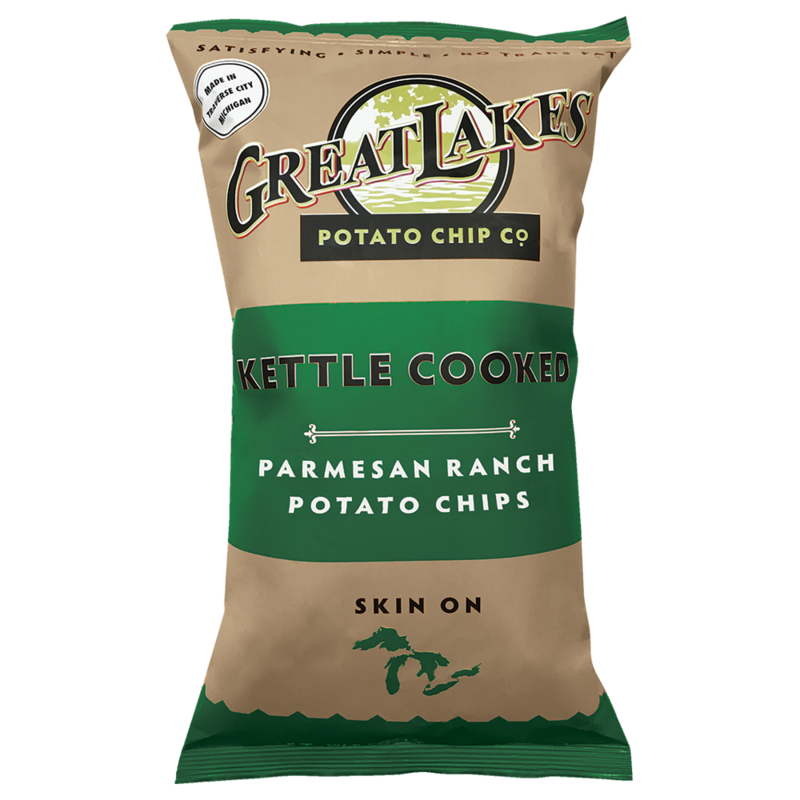 Their skin-on style puts a little extra “zip” in the chip, providing you a full flavor snack adventure. Something those naked chips just can’t deliver. And although it’s nice that potato skins are known to contain nutrients and fiber they leave them on just because they love the way they taste. 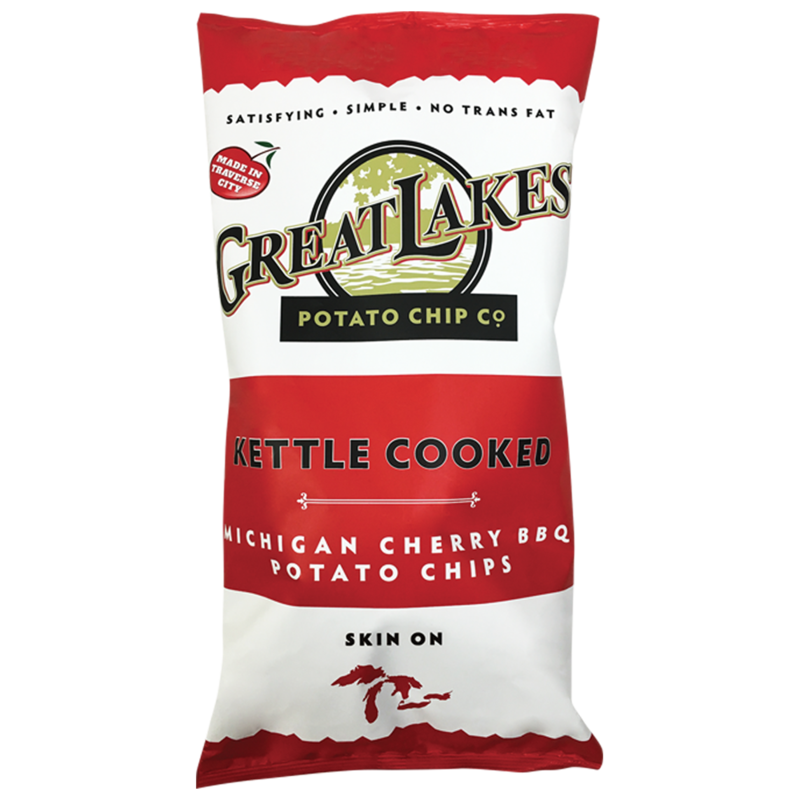 Building a better, flavorful chip takes real dedication. 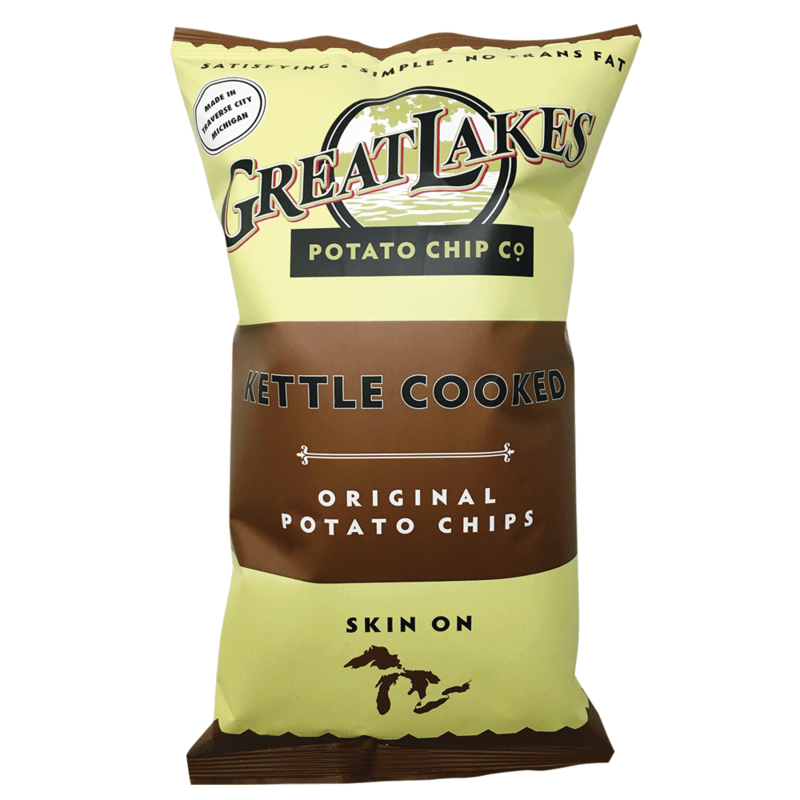 At Great Lakes, they begin with the highest quality potatoes, cultivated especially for potato chip making. They slice them thick and leave the skin on for the bolder flavors. They then cook them in 100% sunflower oil in small batches. 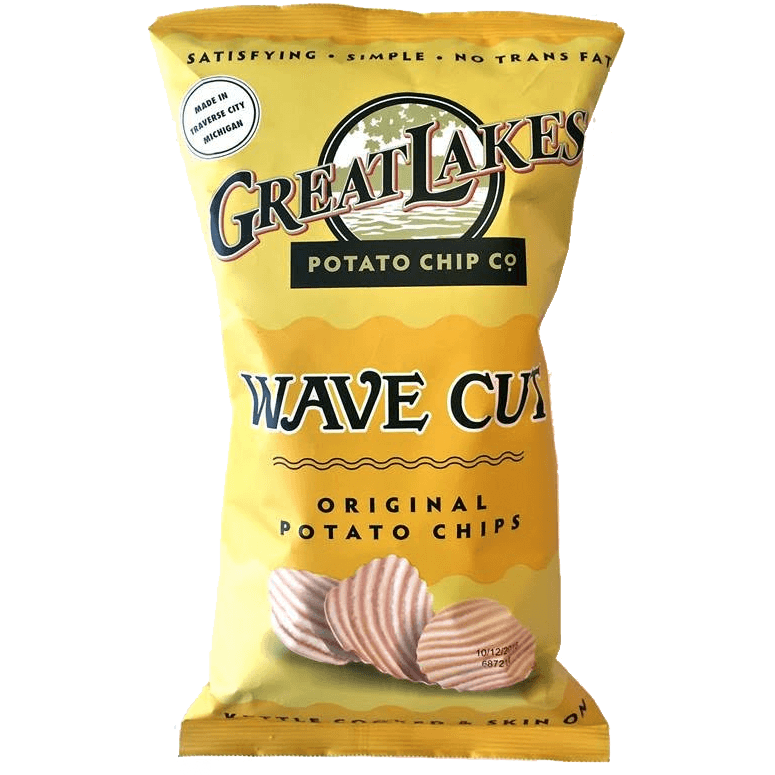 This gives them a great-tasting chip with no trans fats and no cholesterol. Finally, they season them with pure sea salt, remove much of the oxygen that inhibits freshness, and seal them in airtight bags. Success? You be the judge.